View of Tulsa from the top of the Cityplex Tower. From the 60th floor the tower is 648 feet high. 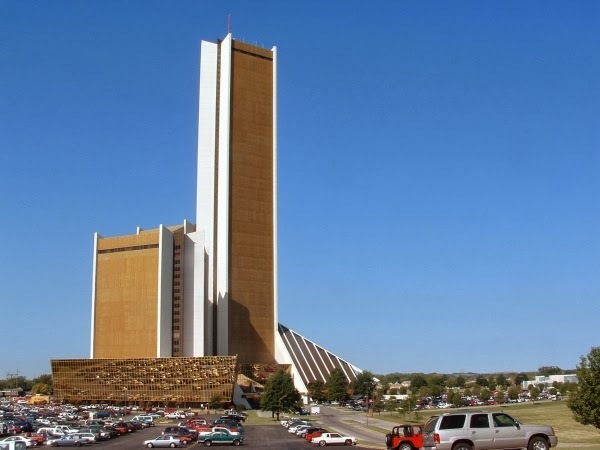 It was opened in 1981 as the Oral Roberts University hospital complex originally named "The City of Faith". The top floor of the center tower affords a commanding view of a large area. 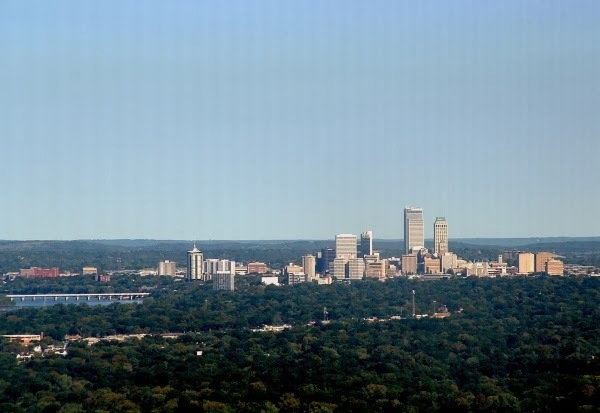 Downtown Tulsa is seen due north and just right of center. Sand Springs is seen on the left, and Sapulpa is visible just off the photo to the west. Broken Arrow is off the photo to the east, and Jenks and Bixby are behind to the south. The Cityplex Towers, 60 floors and 648 feet high. It is the 3rd tallest building in Oklahoma. For more see HERE. I do love those blue, blue skies!! Terrific captures for the day! Thanks for sharing the beauty! Have a great weekend!! Very beautiful photos and post for SWF!Thank you for sharing and have a nice weekend. Lovely view of the Tulsa! Have a great weekend and Happy skywatching! An interesting skyline. I like all the trees. Great pics. I've only been up there twice and I love it. What's on the 60th floor these days? So much of the tower was vacant for years and years. Nice images. On the 60th floor is an insurance office. The only one there when I visited was a secretary who was kind enough to show me into their conference room to take this photo towards the north. One can see a long way from up there. Wordless Wednesday - Ghost Signs.